Kitkatscanread: Bout of Books Readathon 12.0! Bout of Books Readathon 12.0! Here we are again with another BoB Read-a-thon! I am also going to be participating in #Ayearathon this week too, as they both clash! This month's topic for the #Ayearathon is standalones! "The Bout of Books read-a-thon is organized by Amanda @ On a Book Bender and Kelly @ Reading the Paranormal. It is a week long read-a-thon that begins 12:01am Monday, January 6th and runs through Sunday, January 12th in whatever time zone you are in. Bout of Books is low-pressure, and the only reading competition is between you and your usual number of books read in a week. There are challenges, giveaways, and a grand prize, but all of these are completely optional. 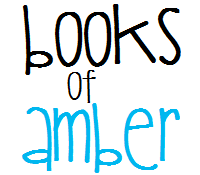 For all Bout of Books 9.0 information and updates, be sure to visit the Bout of Books blog. - From the Bout of Books team"
My main goal for this is to read 3 books. Here is my Wrap Up video! Let me know how you guys did in the readathon.